After braving haunted houses and long Tasmanian winters while filming the latest season of ABC comedy Rosehaven, Celia Pacquola takes time out to talk about how a former waitress forged a successful career as an actor, comedian and writer. 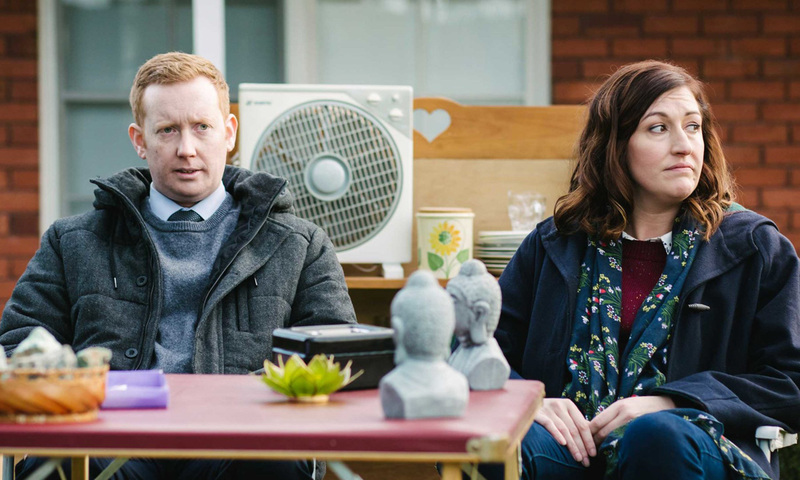 Filming the first three seasons of ABC-TV comedy Rosehaven, its creators and stars Celia Pacquola and Luke McGregor learned a lot about Tasmanian accommodation and what to pack for seven weeks of winter filming. “In one town called Oatlands, 20 per cent of the accommodation is definitely haunted,” Pacquola says. After two seasons, the star pair streamlined what they needed for their long, cold days of work on the show, which was nominated in 2018 for two AACTA (Australian Academy of Cinema and Television Arts) awards. “The days are so long and cold, but each season we’re going in fitter and healthier to sustain energy levels,” Pacquola says. Refining on and off-set needs isn’t the only thing that sees Pacquola, 35, at the top of her game. After 11 years on the stand-up comedy circuit, her versatility has been recognised with awards for acting and writing (an AACTA in 2016 for The Beautiful Lie, an AWGIE she shared with McGregor for Rosehaven) and sees her in constant demand. This year the scene-stealing Offspring star, who’s not on Instagram and uses Twitter just to flag shows, will reprise her role as Nat in the ABC’s Utopia, and she’s also performing in a Sydney play. McGregor and Pacquola on the set of Rosehaven. At the national broadcaster’s Melbourne studios in mid-December, a breezy Pacquola has been enjoying a brief break in her stonking workload. She says trying to pack days with activities is a side effect of her profession. But with her comedy chops – Good News Week, Have You Been Paying Attention? and Spicks and Specks – Pacquola has a remedy for career anxiety. She devotes nights to finding out what new rescue terrier-cross Jimmy Chocolate Chip knows about the world. Growing up one of three girls on a small property in Victoria’s Yarra Valley “with a weird array of different animals”, Pacquola “was bored and had nothing to do”, so dived into being creative. Waitressing to make ends meet, Pacquola lacked confidence to be an actor until she met “a bunch of mates” and started a theatre company. A comedian she was dating signed her up for the Raw Comedy awards in 2006. The national competition was won by Hannah Gadsby (Nanette) but Pacquola, who says “people falling over” makes her laugh, took out best first-time entrant. She knew McGregor through stand-up but they weren’t friends until they hung out between takes on Utopia. The pair teamed up and pitched ideas to the ABC. Rosehaven, based around a real estate business in a fictional Tasmanian town, was their fifth “and probably last” crack at it. Pacquola (who plays Emma) and McGregor (Daniel) don’t think about what the audience wants when they’re writing the show. Rosehaven season three premieres on January 30 at 8.32pm on ABC-TV.